Amazon plans bid for Premier League streaming rights | What Hi-Fi? The £100bn company can easily outbid Sky and BT if it decides to expand its UK sport streaming portfolio. 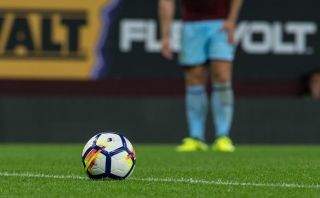 Amazon is expected, according to various media sites, to bid for the rights to stream Premier League football in the UK. The company has held talks with "industry experts" about the logistics of adding the competition to its range of sporting content. While Amazon refuses to confirm or deny whether it is exploring bidding for 2019-22 coverage, the news was apparently confirmed to Telegraph Sport - and Bloomburg cites a "source familiar with the matter". Amazon's competition will, of course, come from Sky, who paid £4.2bn during the last auction. As Sky is one of the elements in the ongoing negotiations around Disney's desire to acquire 21st Century Fox, it might yet have even more money to back its bid next time. Amazon's annual revenue (£100bn or so) currently dwarfs Sky's, though, and that of its other potential rival: BT. Since Sky and BT signed a deal allowing each company to share the other's channels, perhaps a joint bid would make sense. This wouldn't be the first time Amazon has spent big bucks to broadcast sport. Last year it took the rights to both the US Open and the ATP World Tour, paying a total of £80 million (and recouping a fair bit more). Having a dedicated streaming source across major platforms (Prime Video features on both Apple and Android smartphones) as well as integrated into the company's array of Fire tablets, Fire TV Sticks and boxes, could mean even more people might be watching even more live and on-demand sport via Amazon.